We have these very nice Knoll Currents cubicles for sale. We currently have 56 of these in stock. These cubicles are 7.5X7.5 and are fully loaded. 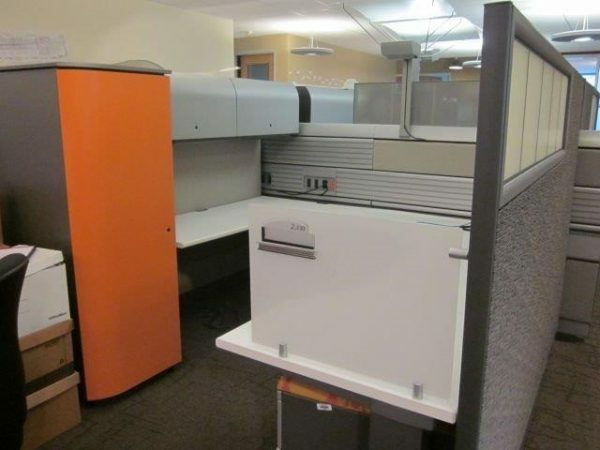 Each cubicle comes with a Knoll Currents spine and Knoll Morrison wing panels, two overhead storage bins, one upscale storage tower and a box file mobile pedestal with upgraded seat fabric. Designer cubicles like these with lots of color are hard to find and sell quickly. You can only find them here are UsedCubicles.com. Chat online today to learn more. We will draw these cubicles into your space for free. We ship and deliver nation wide. We look forward to working with you.